Sustainability is about making smart business decisions. While long-term profitability is typically a driver - and the desired outcome - in these decisions, some initiatives require a capital investment to purchase new items and get the ball rolling. The Province of Saskatchewan, through SaskEnergy and SaskPower, offers several rebate programs to offset some of the costs of greening your business. Industry Canada, a federal agency, also offers the Canada Small Business Financing Program for more business improvements up to $500,000. Each year the City of Saskatoon accepts applications for the Assistance to Community Groups - Cash Grant - Environmental Component. The annual grants recognize local non-profit organizations implementing initiatives that support the City's strategic goal of Environmental Leadership. A total of $20,000 is allocated annually. Application information and forms are available on the Grants web page. Maybe you need additional information or direction to implement your sustainability solution? We’ve identified organizations and agencies with the expertise you need. Saskatchewan Waste Reduction Council provides a comprehensive list of recycling options and locations throughout Saskatchewan. International Tourism Ecotourism Society (TIES) Through membership services, industry outreach and educational programs, TIES is committed to helping organizations, communities and individuals promote and practice the principles of ecotourism. International Institute of Sustainable Development (IISD) This Canadian-based, international public policy research institute suggests a series of best practices for businesses looking to fully integrate sustainability throughout the entire organization. Collectively, these steps encourage stakeholders to evaluate organizational practices from an internal and external point of view. Have you or your staff developed an innovative sustainability solution? Have your efforts resulted in the kind of success that would inspire others? Or do you know of a colleague or peer who deserves recognition for leadership in sustainability? 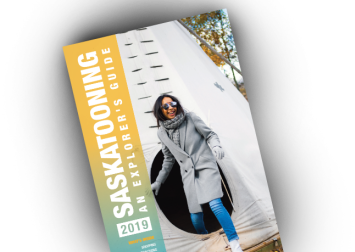 Consider nominating your business or another Saskatoon-based tourism business for an award that celebrates environmentally-responsible accomplishments.